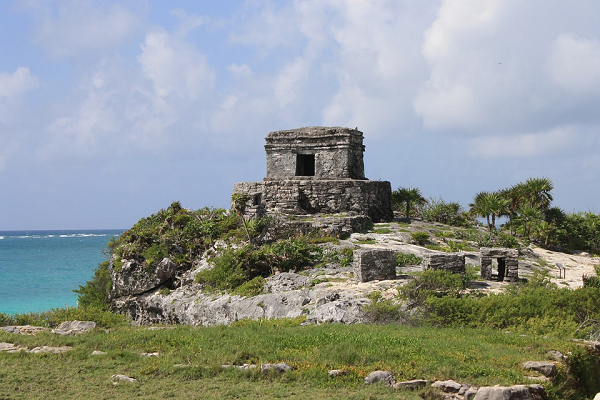 “The jaladores – people dedicated to attract tourists into restaurants, bars and shops – located at the entrance of the archaeological zone of Tulum, not only deceive the tourists who are trying to visit the archaeological site, but also scam them by selling fictitious tours and thereby damaging the image of Tulum as a tourist destination”, this was denounced by members of the different local tourist guides associations. Alejandro Torres Perera, leader of the tourist guides Section 2 of the archaeological zone of Tulum, has repeatedly mentioned the way in which these jaladores operate, although some are legally established businesses, others are not only irregular but illegal. The interviewee assures that the way of operating is deceiving the tourists by offering boat tours as well as swimming with turtles or dolphins; situation that does not occur on the beaches of this area of ​​Tulum, and which obviously creates discontent among those affected, who return to the atchaeological zone entrance to claim back their money, and do not find the alleged vendors. Torres Perera stated that these frauds are committed by people who are not legally established and therefore it is very difficult to locate them and apply the corresponding sanction. As for the amount of money the scam from the tourists, it goes from one thousand to five thousand pesos, depending on the type of offer made. In that sense, Alejandro Torres Perera detailed that the local tourist guide associations have made a series of complaints to the Ministry of Tourism demanding to stop these situations that are damaging the public image of Tulum and its people, but the situation prevails up to date.